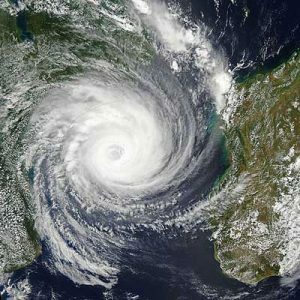 On March 15, Tropical Cyclone Idai made landfall near Beira, Mozambique. Tens of thousands of homes have been destroyed or damaged, hundreds of thousands of residents are without power and local officials estimate the death toll at more than 1,000 people. Storm surges caused by the cyclone led to catastrophic flooding in four countries, with more than 100,000 residents in need of urgent rescue and sparking shortages of food and clean water for the more than 3 million people living in the flood zone. Continued heavy rains and mudslides have hampered relief efforts and made it difficult to assess the full extent of the damage, but United Nations officials are calling it one of the worst weather-related disasters ever to hit the southern hemisphere. What is known for certain is that residents are facing massive immediate needs and a long and expensive recovery process. The list below contains links to information and local resources for those affected as well as to organizations providing immediate and long-term relief. It will be updated as more information and resources are available. Direct Relief is working with local partners to provide medical support in communities affected by the cyclone. Save the Children is partnering with local government and other relief organizations to provide food, health and hygiene supplies and temporary shelters to children and families in the disaster area. Doctors Without Borders’ local staff are providing emergency medical supplies and care in affected communities throughout Mozambique, Zimbabwe and Malawi. UNICEF is providing emergency supplies, medicine, temporary shelters and hygiene products to families that have been displaced by the cyclone. When supporting relief organizations, consider marking your gift as general operating support. By doing so, you enable the organization to both respond to current disasters and be prepared for those that may arise in the future. Visit the California Community Foundation’s disaster giving page for more tips on how to maximize your impact when giving to disaster relief.